When water leaves a municipal treatment facility, it meets all the guidelines of the Safe Drinking Water Act. But, the water coming out of your faucet may not. Water travels a long distance to reach your home or business. It typically goes from a water treatment facility, to a water tower, through miles of pipes, to your home where it goes through your home’s plumbing, and finally to your faucet. Furthermore, many consumers have older or contaminated water pipes in their home which, unknown to them, can decrease the quality of their drinking water. Replacing a home’s plumbing can be costly, and providing municipal water to the requirements or needs for all residents in a community is unrealistic and can be expensive. The good news is that options are available to overcome these obstacles. Final barrier treatment is the right solution for many communities and their residents. The final barrier controls the water quality at the point of use. Technologies are currently tested, certified, and available for use by consumers to economically treat the 1% of water for drinking to the highest safety levels at the point where water is consumed. Drinking water treated with a certified system provides water that exceeds the Safe Drinking Water Act so it is better for people with special needs such as pregnant women, babies, and the elderly. Several municipalities have found it more cost-effective to subsidize “Final Barrier” in-home systems rather than pay for centralized water treatment or installing new water pipes or treatment facilities. 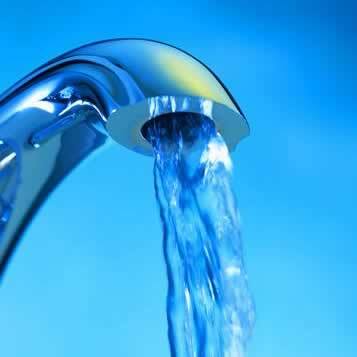 Every household faces different water issues and a myriad of possible concerns. You may need to do some home testing and research to find out what contaminants you may be facing. Or consider calling in a trained professional whose expertise and equipment will pinpoint your areas of concern and offer you solutions. Hydro Solutions offers complementary in home water analysis in South Florida. Contact Hydro Solutions at 561-747-4770 or click here to find out how you can have the safest possible drinking water.